The week at Cee’s Fun Foto Challenge the letter is G. The guide lines this week is that the word has to have the letter G some where in the word. I choose the word giraffe. A few months back we went with our daughter and granddaughters to Out of Africa near our home. We really enjoyed the day. We rode a tram that took us in an enclosure with a lot of animals roaming around. 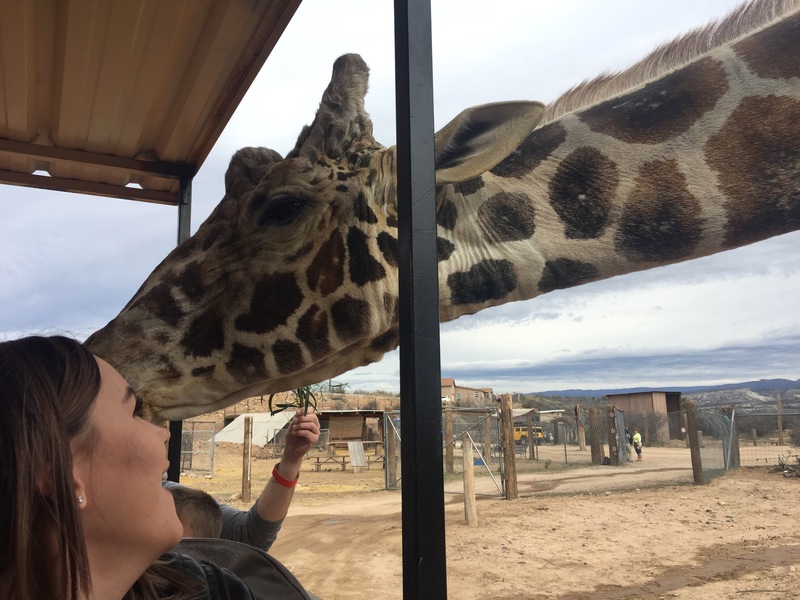 We got to feed the giraffe. It stuck its head in the tram and took food from your hand.